To provide an innovative foundation for the growth and development of hockey players in the United States, USA Hockey created the American Development Model (ADM), a practice and development structure that is an extension of USA Hockey′s highly successful National Team Development Program. ADM is based on current sports science and best practices. Onondaga Youth Hockey Association has adopted these principles and implements the model at all levels, where appropriate. The American Development Model integrates training, competition and recovery programming with relation to biological development and maturation (as opposed to chronological age). It offers equal opportunity for recreation and competition. It is participant/athlete centered, coach driven, and parents, officials, administration, sport medicine and sport science supported. We hope you will embrace these principles as OYHA provides an environment for our young athletes that is both FUN and allows each individual to develop his/her skills to their greatest potential. 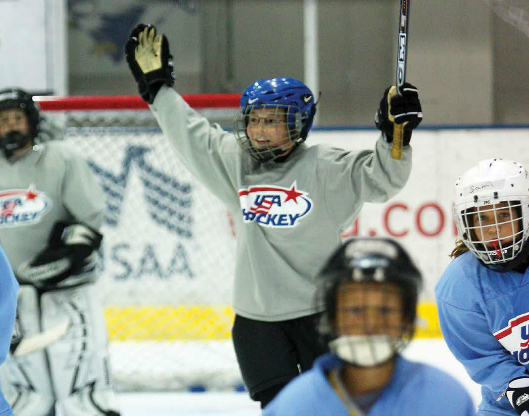 Learn more about the American Development Model or view the USA Hockey Parent Handbook.